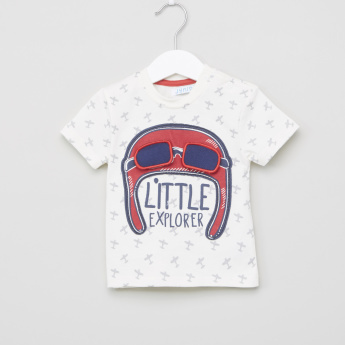 Grab this graphic printed t-shirt for your little explorer to elevate his stylish appeal when on a trip. 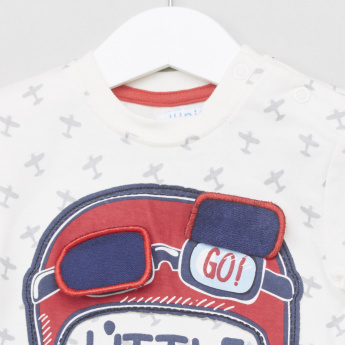 The t-shirt highlights an applique on the front that adds to its charming prints. 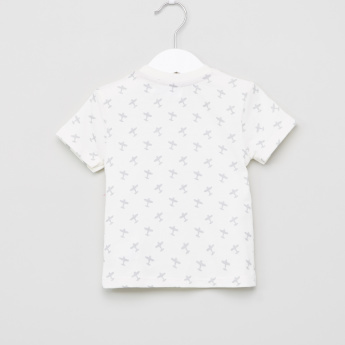 The round neckline and short sleeves lend comfortable wear throughout the time.